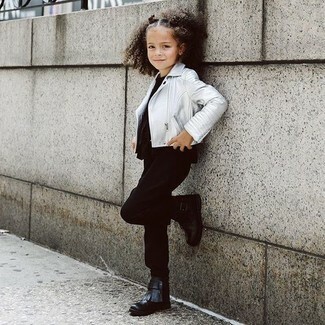 Reach for an Urban Republic silver metallic faux leather moto jacket infant toddler and black trousers for your child for a comfortable outfit that's also put together nicely. Black boots are a good choice to complement this style. 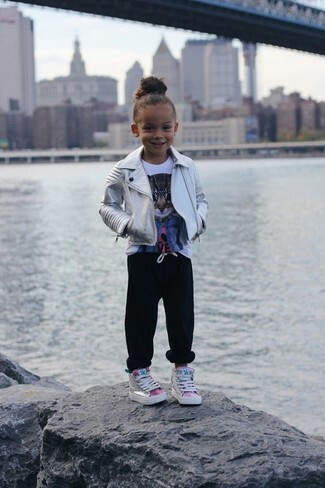 Suggest that your little girl choose a silver leather jacket and black sweatpants for a fun day in the park. As far as footwear is concerned, suggest that your little girl opt for a pair of silver sneakers. 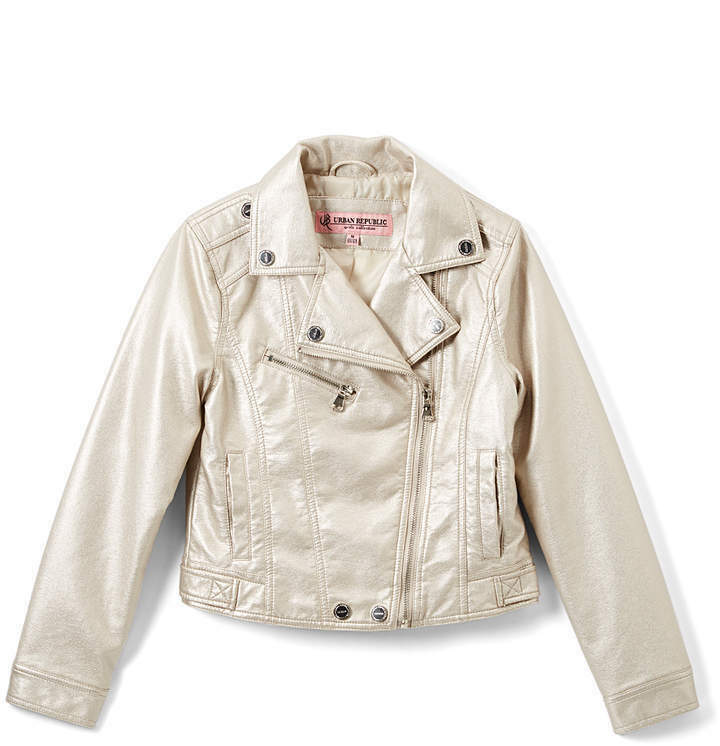 Wearing a silver leather jacket and a grey star print skirt is a smart fashion option for your little angel. As far as footwear is concerned, suggest that your child grab a pair of pink leather boots.